Providing you the best range of kids bench, school bench, frp desk bench 2 seater and play school furniture with effective & timely delivery. 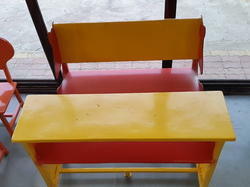 Our company is engaged in manufacturing the most sought after range of FRP Two Seater School Bench. 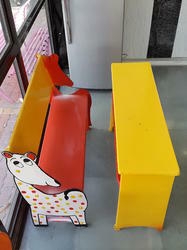 The wide range of FRP Two Seater School Bench includes cast iron bench, FRP bench, simple bench, FRP four seater school bench, FRP two chair model school bench and FRP two seater school bench. Our company is engaged in manufacturing and supplying the most sought after range of FRP Desk Bench 2 Seater. These are attractively designed benches ensuring comfortable sitting experience to the end users. 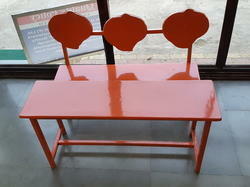 We offer these large school bench to our esteemed clients at market leading price. 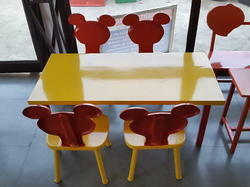 Our company is one of the leading companies that offer a wide range of Kids School Benches. These benches are available in elegant designs and classy patterns. Moreover, these benches are made up of premium grade components sourced from reliable vendor of the industry. Kids School Benches are light in weight and are easily portable from one place to another. Looking for FRP Table ?